Huonland Pharmaceutical co., LTD., and began to operate facilities in 2015.
through world-class ophthalmology business firms and take the largest market share in Korea. to build the factory that fulfill enhanced standards. 35 million bottles per year. 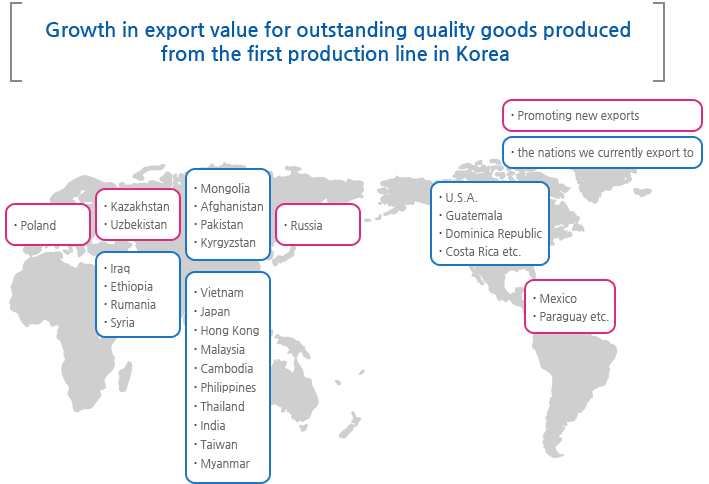 without preservative, and production capacity underlying cGMP-level factory in Jecheon.